The task of implementing a project plan from start to finish is one of the most taxing for anyone who has ever tackled the job. Perhaps the project has not even been scoped-out and you require additional resources to do so. Charon Solutions has an excellent staff of project managers, many of whom have completed the PMBOK (Project Management Body of Knowledge). Whether you�re starting from scratch, have a project plan that requires implementation or have a project underway that has become bogged down with issues, Charon Solutions can step in at any point in the process and get it done, on time and on budget! Do you have a legal problem that requires the exclusive assistance of an attorney? 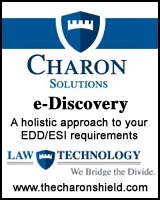 If so, please click here to be directed to Charon Law for a confidential consultation.